The Mayor of Peacehaven, Councillor Robert Robertson donned fancy dress to become one of Santa’s little elf helpers today at the Christmas Market in the Meridian Centre. 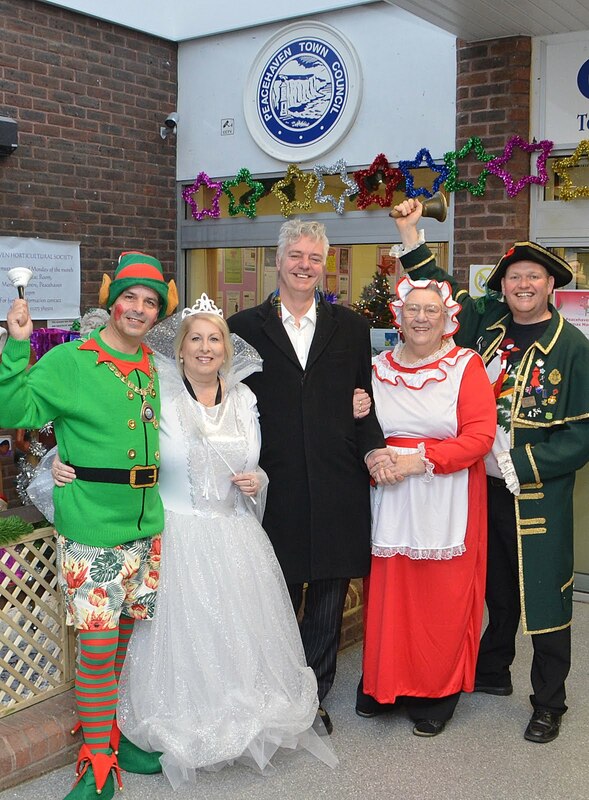 He was joined by Councillor Rachael Coles aka the Christmas Fairy and local MP Simon Kirby – who came as himself! Where have all the lights gone?